When we think about blessings we normally think about the good things we enjoy in this life – good health, great holidays, a loving family, good friends, perhaps great food! These are wonderful things that the Lord gives us to enjoy, but these things are not the primary concern of Paul as he writes in Ephesians about ‘spiritual blessings’. In fact none of these feature in Paul’s opening remarks to the Ephesian church. Instead Paul encourages them to remember that they are chosen, that they are redeemed and forgiven, that they are adopted as sons and have a guarantee of an eternal inheritance. Paul is reminding the Ephesians that it is these ‘spiritual blessings’ that make all the difference. In this life some of us will enjoy earthly blessings whilst others will face suffering. Some will enjoy wealth whilst others will face poverty. Some will live healthy long lives whilst others will face sickness and early death. Regardless of our earthly blessings all of those who are in Christ will enjoy the far greater spiritual blessings in heavenly places. 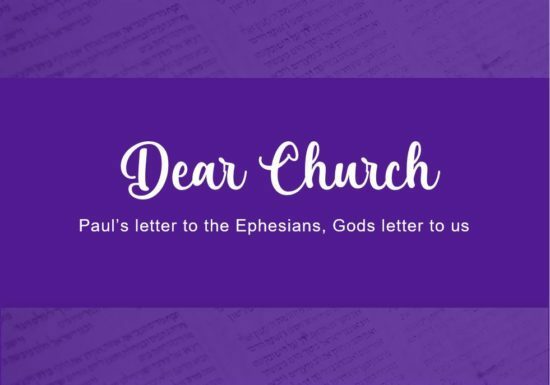 As we read through the beginning of Paul’s letter to the Ephesians, which of course is also God’s letter to us, we will realise that in fact the spiritual blessings that God guarantees for His people far outweigh any temporal blessings we may or may not receive. Through recognising this we will realise how truly blessed we are and also receive the passion and energy needed to give our entire lives to following Jesus.